Arigna Natural Gardens » Art or vandalism? Out walking today with Andy and dogs. 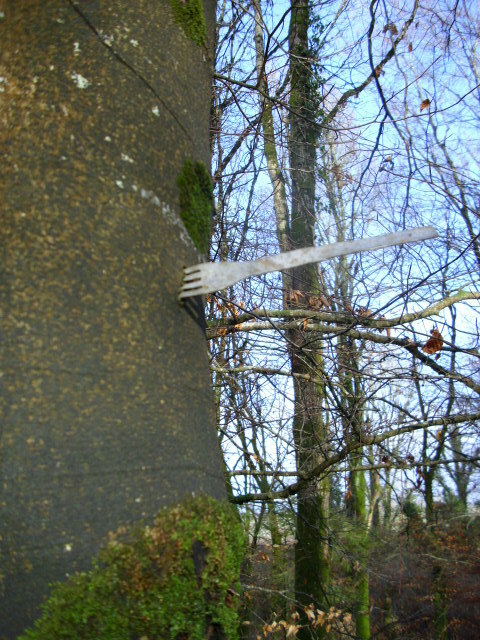 Spotted this in a small woodland near Drumshanbo. About six feet off the ground, a metal fork stuck in a Beech tree. Strange!